Obsidian Sky is still progressing at a steady pace. The fight scenes are coming together and will be pretty epic once they're completed. Right now, it looks like there will be about six more chapters until this draft is completed. Seems like a lot, but I expect these chapters will be short given that they'll be action heavy. With a little luck and a lot of hard work, I'll have the rough draft of Obsidian Sky done this week. Which means I'll be moving onto editing! How much I'll be able to get done is anyone's guess, though I am looking forward to re-reading Dark Divinity. It'll be fun to look it over again with fresh eyes. Also fun will be finalizing the world for my upcoming/large series, Areios Brothers. I've missed Derek and Liam, and want to see where this new world takes me. And that's it for now! 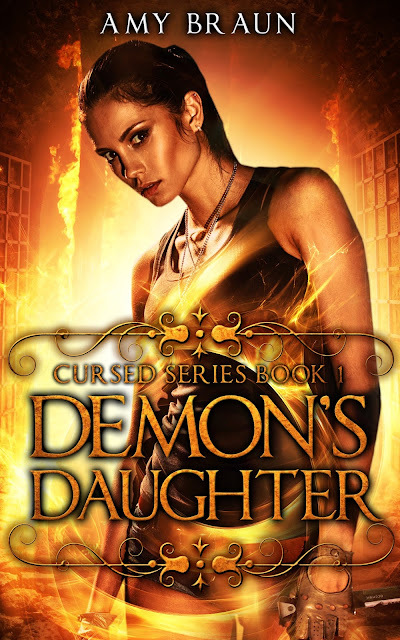 Remember you only have one week left to enter the contest for a free, signed paperback copy of Demon's Daughter! All you need to do is leave a comment here sharing your favorite type of mythology: angels or demons. I'll accept any answer (even your favorite myth will do!) though this is not a debate post. Purely based around lore and fiction. Winners will be chosen at random, so get your entry in now! And that's it! Lots of work coming ahead, but hopefully I'll be able to cross items off my list and move onto some new projects. Can't wait for the end results!